I spend hours travelling to my day job. About three and a half hours a day driving in and out of London, sat in traffic contemplating the rear bumper of the car in front and day dreaming. I’ve been on fantasy hikes, bought houses in remote places and started new businesses, I am even Lady of the Manor to a fantasy village for when I win the Lottery, something along Miss Marple lines – it might help if I ever bought a ticket! Mostly I’m creating my next knitting or sewing project and this time it’s well on it’s way to fruition and getting a little scary as the packaging has arrived. Oops, how did that happen? 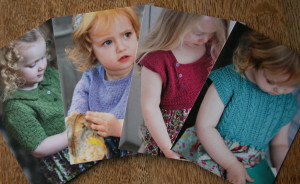 Mum made a lot of our clothes, some refashioned from Dad’s shirts or the curtains (a particularly scratchy dress), or a pillow case with a crocheted top. For special occasions she would order a precut dresses from her Woman’s Realm magazine. I particularly remember those she made for Louise and I one Christmas in brushed cotton sprigged with tiny flowers. Red for Louise and green for me – I wanted the red! Louise went in to melt down, she wanted the green. All the pieces precut and packed with the thread and buttons, I even think the buttonholes had been stitched for you. Mum bought more sophisticated kits for herself, skirt length and yarn packs. Usually a length of tweedy wool and enough yarn to knit a sweater or jumper from a choice of patterns, a package promising sophisticated co-ordination. Very early I started to make my own clothes and acquired a Saturday job in the local haberdashers but I was still fascinated by those kits. The Cloth Kits catalogue in the 70’s was very alluring. Then my first proper job at Good Housekeeping Magazine introduced me to Liberty’s an easy walk from the office and a whole floor of fabric and yarns to lust after in the lunch hour. I’m not sure that I should have been let loose there in the 80’s. I vividly remember a baby pink Tana Lawn made up into a blouse with pie crust collar and tie neck. It may well have suited Lady Diana Spencer but it did nothing me. Now the fabric department like the concept of a lunch hour is sadly diminished but I still make the blouses. 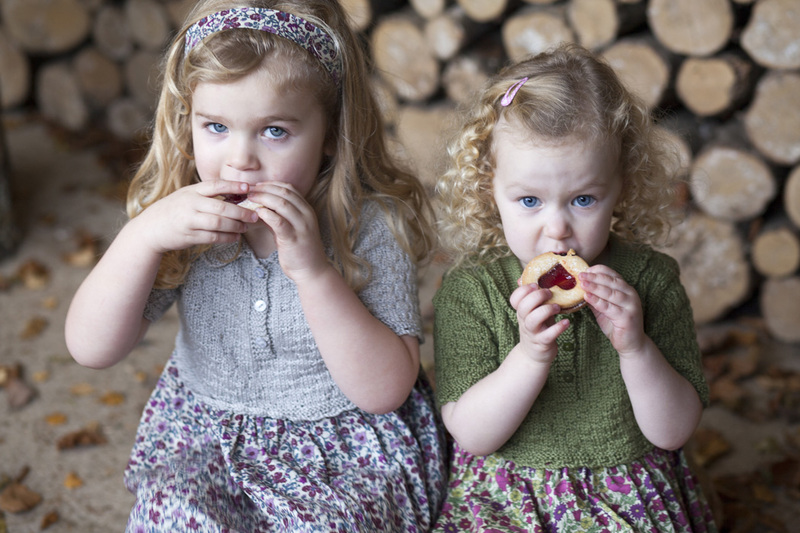 All those memories whirring around on the drive to work and eventually turning into these – Ainsworth & Prin children’s dress kits, beautifully shot by the very talented Dawn Squance and modelled by the well behaved and suitably gorgeous Emma, Esmae, Izzy, Poppy and Seren. I’m not sure that Louise and I would have looked half so cherubic or behaved half so well.